There’s a huge and growing problem with obesity in the United States these days. It’s been estimated by doctors and dieticians that one out of every three adults are clinically obese. While this may be off the mark due to factors such as issues with the BMI and a recent change in how obesity is figured, it’s still true that more adults could stand to get a bit more exercise. To that end, there are a number of home exercise devices that have hit the market. You’ll find equipment such as ellipticals and treadmills being sold at sporting good and department stores. Some of them are cheap, some of them are expensive, and not all of them are actually worth buying. 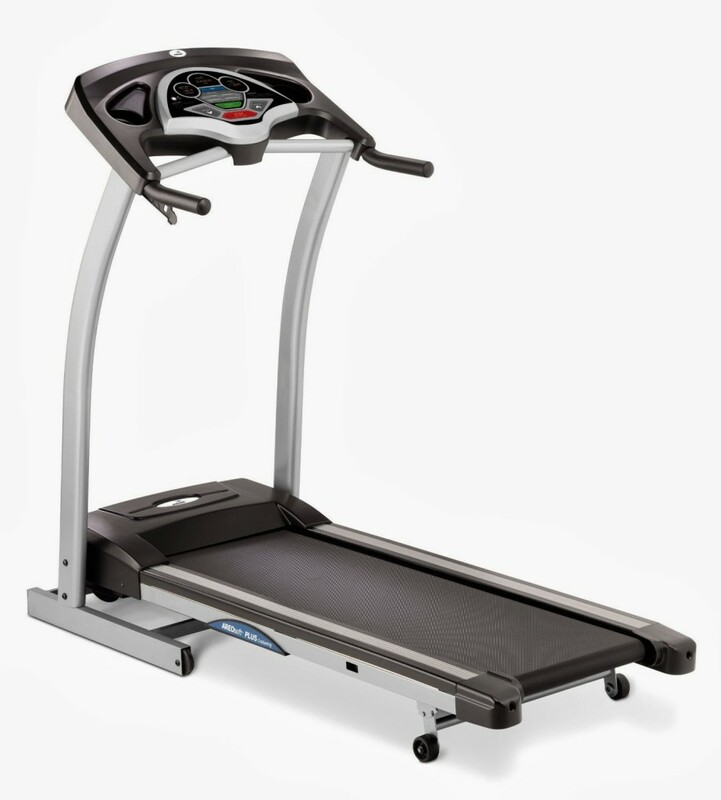 Into this market comes the Merit Fitness brand 715t model treadmill. Is it any good? Or is it one of those treadmills that you’re better off ignoring? First, the specs. The 715t treadmill made by Merit Fitness comes with a 2.5 THP motor, which is a fairly high powered motor for the price. What this means in practical terms is that it can go quite fast, and what’s more it can go fast even when there’s a lot of weight on it. This makes it especially good for those who have actually hit the morbidly obese category. In specific speeds, it can go from one MPH all the way up to 10 MPH. Chances are, if you’re purchasing a treadmill you’re not going to run faster than 10 miles per hour. People who hit that speed are generally training for athletic competitions. On the programming front, it doesn’t quite measure up. It only has four programs, weight loss, intervals, rolling hills, and manual. While that will generally cover at home workouts, it would be nicer if the treadmill had a few extra settings. Even one more, a cardio setting, would make it a little more versatile. Still, the main use of treadmills is for weight loss, and losing weight will generally help your cardio as well. So while it doesn’t have quite as many programs as one might want, it still has as many programs as a person might need. Set up is quite simple. It boasts a folding metal frame, which means that after it’s set up, you can fold it down and store it away. This helps keep it from becoming a space hog, forcing you to set aside a specific area for a home gym. Thanks to the folding ability, you can haul it into your den or living room and easily watch television while you’re exercising. This makes it leaps and bounds above many other treadmills, which do not fold and thus are difficult to store. The incline also leaves a little bit to be desired. It has a three position incline, going from 0 to 5%. Similar to the programs, this is enough for you to get a decent weight loss workout, but not enough to really push yourself. However, if all you want the treadmill for is to lose weight, then it gives you plenty by way of incline. It’s a matter of what you’re looking for. In summary, the 715t treadmill by Merit Fitness is a good, solid treadmill for those looking to lose weight at home. If you’re looking for something to help you train for athletic competitions, then it’s probably not the treadmill for you. However, its easy storage, high horse power motor, and relatively inexpensive price makes it absolutely fantastic for anyone who wants to lose some weight and doesn’t have easy access to a gym membership. So if that’s what you’re looking for, this treadmill can meet your needs.